SouthStar Communities has been developing family communities for nearly 40 years across the Southern United States. SouthStar is committed to developing and operating communities with a high quality of life and community values that far exceed the cost of real estate. In fact, many SouthStar buyers have been known to buy in multiple communities. At Vintage Oaks, land ownership comes with the knowledge that you are buying in one of the most desirable areas in the nation, and that you are in good company. "Based on the year to date sales numbers for Vintage Oaks, it is currently trending as the fastest growing community in the Hill Country," said Randall Allsup, Regional Director with Metrostudy, a national housing market research firm. "The demand for more land sales and new communities continues to rise and Vintage Oaks has beautiful home sites and the luxury amenities homebuyers are seeking." Discover all that land ownership can add to your life today, at Vintage Oaks.  As the Hill Country gains popularity, Vintage Oaks continues to surpass sales records. Supply of homes and homesites in master-planned communities is decreasing in the Hill Country as more and more visitors become residents.